It’s been a challenge over the past six weeks to find an hour when I’ve had both the time and the inclination to update this blog. But it seems I finally have both, less than a week before I’m due to fly south for a few months. In this hemisphere at this time of year, south means winter, which is poor planning on my part as I don’t do cold very well. But one can’t have everything one wants all of the time. I’ve been basking in perpetual summer since early January, so it’s time for a change. 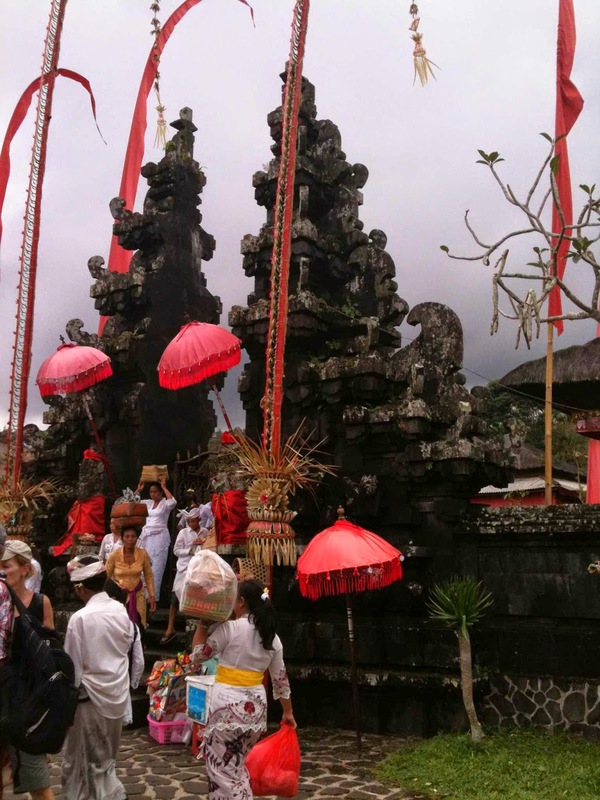 My two months in Ubud have flown by, though I also feel like I’ve been here forever. Some of my memories from this visit seem so old already! Was it only six weeks ago that Perth Di was still around, talking up a storm, churning up the water in my villa pool with her tumble turns, and linking me up with her pal Elizabeth, who has become a close friend? 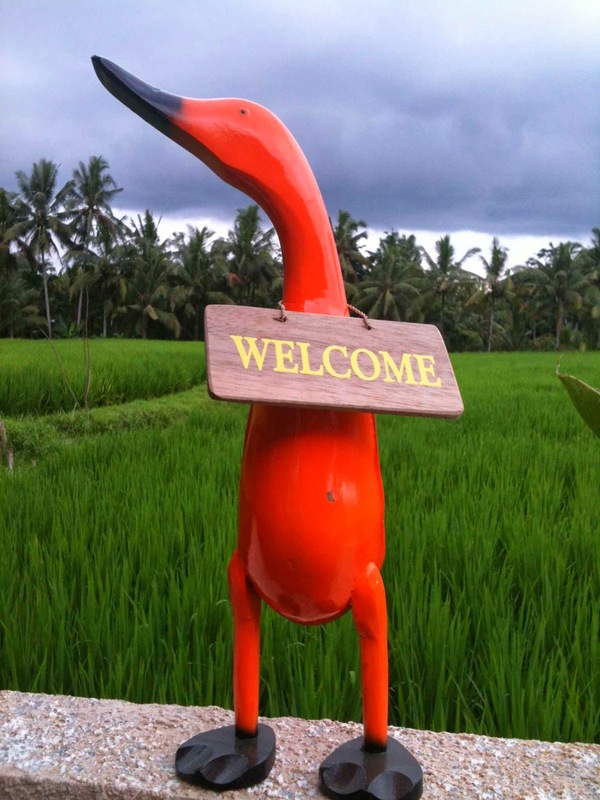 Has it been only a month since my oldest friend Jan came from Albury to visit for a week; since Sam, Sara and Ivy came from Kuching, and Joanne from Melbourne, to share my rented villa among the rice fields and enjoy the ‘village’ that is Jalan Kajeng? Since my visitors have departed I’ve moved back to Cinta Inn, where I’ve hardly moved from my ‘office’ in the restaurant courtyard. My workload is daunting at the moment and will continue to be challenging right through until August. It’s been unrelenting daily pressure, and I’ve had to reduce my focus to working, eating, going for a walk and sleeping – and catching up every few days with Elizabeth. Everyone is gearing up for one of the year’s biggest festivals, Galangan. The staff at Cinta are often busy with ceremonies in their villages, and I’ve had invitations from some friends here to visit their homes. I want to, and I keep meaning to carve out the time, but it’s just been too difficult these past few weeks. The cultural and architectural attractions of Ubud are apparent everywhere; just walking around the streets offers glimpses of a way of life that dates back thousands of years. But the village has turned into a town that doesn’t have the infrastructure to support its growth. It has fantastic restaurants and cafes, but the footpaths are broken and dangerous and the traffic congestion is now a major problem. 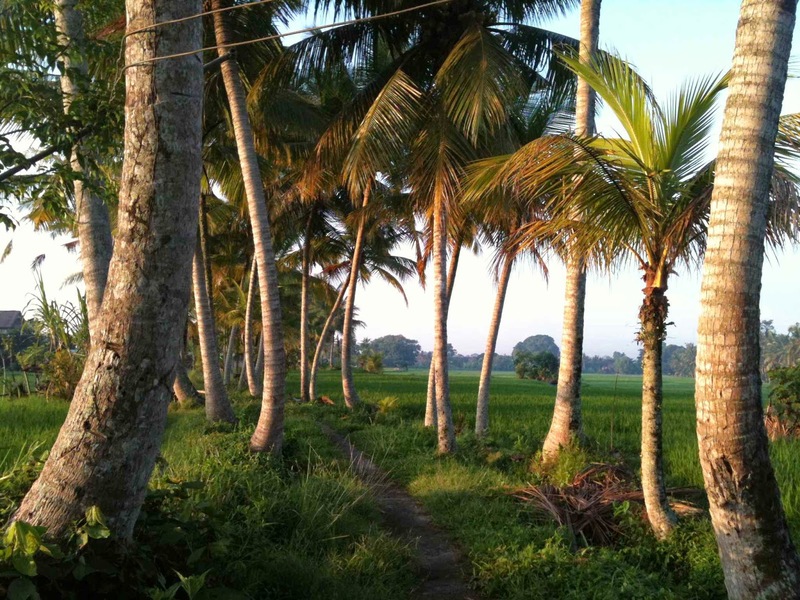 I’m happy – and lucky – to be able to spend a very busy work period in Ubud, but it’s not somewhere I would like to make a permanent home. The same applies to Kuching: it embraces me every time I visit, and has given me family and many friends, but for the moment it doesn’t meet enough of my other needs to make my permanent home there. No one place is perfect; and none of the places I’ve come to love over the past four years is perfect for me all of the time. I love to be able to spend a month living in Florence or Budapest, Istanbul or Lausanne, but I’m then ready to move on. Two months at a time is my limit in Kuching and Ubud. After a few months spent somewhere else, I’m then more than happy to return for another month or two, but I need time in places where I can have a different daily routine for a while, eat different food, spend time with other friends, catch up on visits to art galleries, cinemas, museums and the theatre, and go for long walks or runs again. I need to stretch my legs and my mind in different ways. I like routines – they’re efficient, they work for me, and I enjoy establishing them in new places – but they can also be counterproductive. I need to shake them up every now and then, and I do that best by spending time in different places. Two places suit me especially well. I’m most fully myself in New York and am always sorry to leave it even after three months. Every part of me can come out to play in Manhattan: the runner and the flaneur, the film buff and the theatregoer, the recluse and the social butterfly. I have friends living there I’ve known for up to 30 years. Each time I visit, I’ve been lucky enough to meet at least one new person who makes a difference to my life. I run hundreds of miles in training and races, and I see dozens of films and documentaries. I have a life there that I step straight back into whenever I arrive back on the Upper West Side beside Central Park. New York blesses me over and over. I just don’t want to be there during winter! I also love my hometown of Albury. I couldn’t wait to leave it at age 18, then found myself back there at 44, slightly frayed at the edges by life. I found a new life there, with family and new friends. I took up running again. I met a number of artists and started building an art collection. I bought a house and got a cat. Then the dog thing happened, which proved to be hugely creative and a source of many wonderful friendships. I haven’t had to give up anything to accommodate the new people and new experiences I’ve had in the four years since I swapped my second house for a suitcase. My life has just expanded to accommodate it all. I don’t think I’m greedy (except when it comes to self-serve frozen yoghurt); I just don’t see why I can’t try to have it all and be gracious and grateful when inevitably I find I can’t.